ADD PERFORMANCE!! The Music House will present IAA guest instructors, Hajnal Pivnick and Dorian Wallace will be accompanying BBC’s series “Planet Earth”, combining beautiful images of nature with their exceptional and creative musical talent. Hajnal’s talent as a violinist and Dorian’s talent as a pianist combine to create a unique and beautiful theater experience. Due to the overwhelming response to our scheduled showing of this, the artists have agreed to add a second, earlier performance and 5:30 pm! The Music House Museum is partnering with musical duo Tenth Intervention to bring you the sweeping vistas and extravagant mating calls of Planet Earth with a live score! 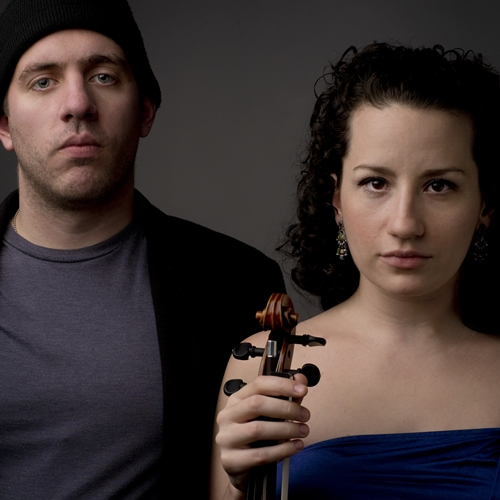 Tenth Intervention (Dorian Wallace, piano, Hajnal Pivnick, violin) presents contemporary music in New York City. Through collaborations with composers, musicians, visual artists, choreographers, and dancers, they produce programs that expand the reach of music to be diverse, pioneering, and socially conscious. Visit www.tenthintervention.com for more info! Please join us on July 27th at 5:30 pm for the unique evening of beautiful music and film. Hajnal Pivnick, Co-founder/Artistic DirectorHungarian-American violinist Hajnal Kármán Pivnick was born and raised in Memphis, Tennessee. She advocates the performance and promotion of music written in the 20th and 21st century, and works extensively as an educator and arts administrator. She is co-founder of Tenth Intervention, a collective of musicians and concert series that presents new music in New York City. Hajnal performs regularly with IRIS Orchestra, ensemble mise-en, and Quartet Metadata, and has played with the Memphis Symphony Orchestra, Opera Theater of Pittsburgh, and the Hungarian New Music Chamber Ensemble (UMZE). In New York, she performs in venues ranging in scope from the Park Avenue Armory to Joe’s Pub to Carnegie Hall. As a soloist, she has performed with the Association for the Promotion of New Music and the Tribeca New Music Festival. Hajnal is a member of the violin faculty at Interlochen Arts Camp, and maintains a violin studio at Greenwich House Music School, Opus 118 Harlem School of Music, and Lucy Moses School. She is also a chamber music coach with the Face the Music/Kronos Quartet program. She holds degrees from Carnegie Mellon University and the Liszt Academy of Music in Budapest, Hungary. Dorian Wallace is a composer, improviser, pianist, teacher, and activist. His work explores aspects of conscious and unconscious experiences, politics and theatrics. His music has been performed worldwide at venues such as The Greene Space at WNYC & WQXR, Pompidou Centre, Palais Jacques Coeur, The DiMenna Center for Classical Music, National Sawdust, Universidad de Costa Rica, and GK Arts Center. He has composed and collaborated with artists including 10 Hairy Legs, Alison Cook Beatty Dance, Robert Ashley, Hernando Bensuelo, Seneca Black, Tiger Chengliang Cai, The Cleveland Orchestra Piano Trio, Composers Concordance, Cylixe, Experiments In Opera, John King, Dave Liebman, Frank London, LottDance, Matt Marks, Brianna Matzke, Charlotte Mundy, New Vintage Baroque, Periapsis Music and Dance, Paul Pinto, Hajnal Pivnick, RIOULT Dance, John Sanborn, Son Lux, Aleksandra Vrebalov, and Pamela Z.
Dorian is a founder and artistic director of the New York City based new music collective Tenth Intervention, director of the improvisational septendectet The Free Sound Ahn-somble, pianist for the surrealist nightclub act Trystero, and a founding member of free improvisational quintet AmmoCake.